For some reason, when creating our design portfolio, everything we praise about good design seems to be forgotten as we work in perfect isolation. Having reviewed many portfolios throughout years, I’d like to share the five most common mistakes designers make when creating their portfolios. Of course, it's all relative depending on what you want to achieve. But in most cases, we'd all be much better off without these five things in our portfolio. As with everything you design, question every single element and ask yourself: Is this really needed? 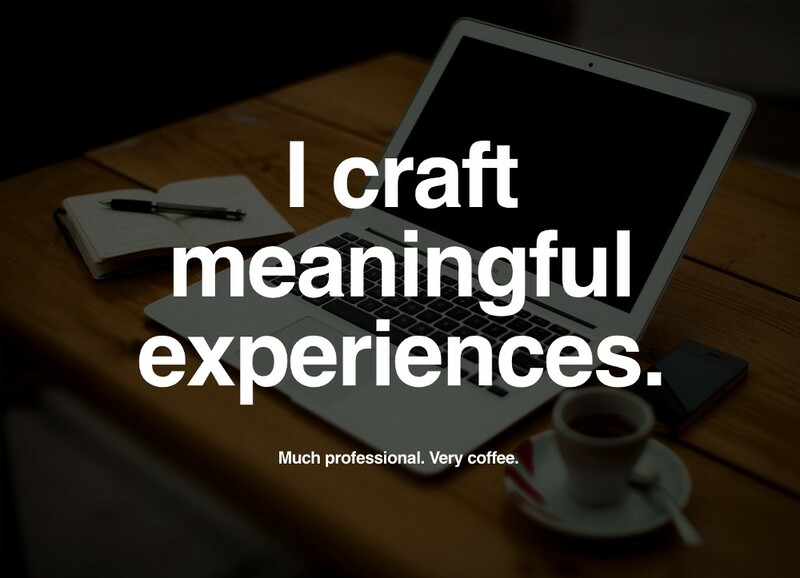 While reviewing hundreds of portfolios, one of the most common things I've noticed are headlines such as: “I craft meaningful experiences” or “I push perfect pixels” combined with a random stock photo of a Macbook sitting on a desk. These intros not only take up a lot of space, but are also used by 90% of other designers and say nothing about what you can actually do. Yes, you work on a Macbook and so does everyone else. You drink coffee? Wow, awesome. You're hired! Simply remove the intro, or replace it with simple facts like your title and what you offer, instead of wishy washy marketing speech. I’m not saying this to bash anyone, but simply because I want you to have the best portfolio possible. If a client chooses you based on an empty intro, I might ask myself if I even want to work with that kind of client. a. Trying to show too much is the main reason why most designers never finish their portfolio in the first place. As you know, limiting yourself is a good design exercise. It makes you focus on the essentials. b. No one has the time and patience to go through all of your work, I promise. The process of editing yourself is the most important aspect of creating your portfolio. Analyzing your work and thoughtfully removing projects from your portfolio is painful but also the best way to grow as a designer. We're as much editors and curators as we're designers. You know, I love unsolicited redesigns because they are not only a great tool for exercising your design sensibilities when just starting out, but also a good way to generate hype and attention within the design community. If the only reason you do them is to generate attention, keep doing them. However, as a designer we shine when solving hard problems, or at least attempting to solve them. Doing a quick visual redesign of nike.com, apple.com or any other Fortune500 company is not only easy but also lazy, because you’re doing it for a company that is already very successful and has fantastic assets/products to work with in the first place. You've chosen the lowest hanging fruit to show your skills. That said, I do love to see unsolicited redesigns that are focused on real problems – companies that aren’t yet successful, products that are struggling and are neither hip or cool. Being a good (product) designer means being a good problem solver. Choosing the easy route is of course totally up to you, but it also reveals a lot about you and your work ethics. Unsolicited redesigns are a fantastic source to practice your skills, but focus your motivation on the problem and not the shiny brand (unless your only goal is to work for Nike). Please keep doing unsolicited redesigns as an exercise because they are fun and quick to do, but in the context of building a strong portfolio I recommend keeping them to a minimum. Let me give you a real life example: I remember reviewing a couple portfolios for a senior designer role. While reviewing some designers I found at least six portfolios that showcased exactly the same work for Nike. Neither of them outlined what they actually did on the project, which of course caused trust issues immediately. Who did what? Did any one of them actually work on it? How many more designers worked on this and why is no one honest about their role? When working for bigger clients this is a common issue, but it can be solved easily by adding a detailed description about your responsibilities on each project, plus the other collaborators. Handle it the way movies do, with a list of credits at the end. Leaving out the details about a project usually makes the viewer suspicious – especially if they spot inconsistencies when comparing it to other projects in your portfolio, which seem to differ in quality. Often we use our own website as a creative outlet. We think of it as our own creative playground where we can finally express ourselves, after all these limiting client projects. When we treat our portfolio as our personal experiment, we end up with a website that is slow and playful to an extent that it becomes unusable. If you'd like to get hired by certain companies, imagine the people who have to review your portfolio. Their time is usually limited and with the amount of portfolios they have to sort through, it's a draining task. If I need to complete a puzzle first just to find the navigation, I’m very likely to dismiss a portfolio immediately, even if the work is outstanding. 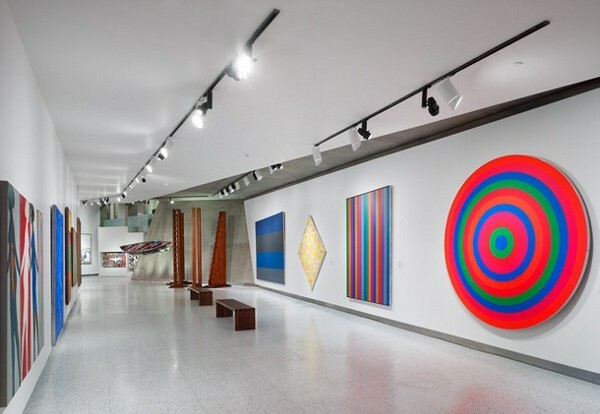 Think of your portfolio as the space in a museum. Clean, easy to navigate and fully focused on the work itself. Focusing on the usability of your portfolio is as important as the work you're showcasing. While this sounds almost too obvious, it’s still one of the main reasons why so many portfolios get rejected during the review process. It's just too hard to get to the actual work. Avoid these 5 common mistakes and you'll be well on your way to building a fantastic and effective portfolio. Please reach out to me on Twitter if you have any questions or comments. I'm always happy to help.